The answers, respectively, are no, no, and no. Assuming a home inspection is taking place as part of a real estate transaction, home inspections are now authorized through the purchase agreement. I’ve blogged about this topic several times: home inspection contingency form. The language from that form has been incorporated into the standard purchase agreement as of 8/1/17. It consists of 24 lines of text, and one of the critical pieces of information is the part about intrusive testing or inspections. If any intrusive testing or inspections are going to take place, the seller first needs to give permission. This same document defines intrusive testing as “any testing, inspections(s), or investigation(s) that changes the property from its original condition or otherwise damages the property”. A sewer inspection does not change a property from its original condition, nor does it damage the property. Here’s a quick little video that demonstrates the sewer inspection process. Every once in a while, the sewer plug will get damaged in the process of removal or replacement. When that happens, Sewer Joe simply replaces the old plug with a new one. Easy peasy. Why ask us about sewer inspections? This question came up because my company offers sewer inspection as an add-on service to our home inspections. 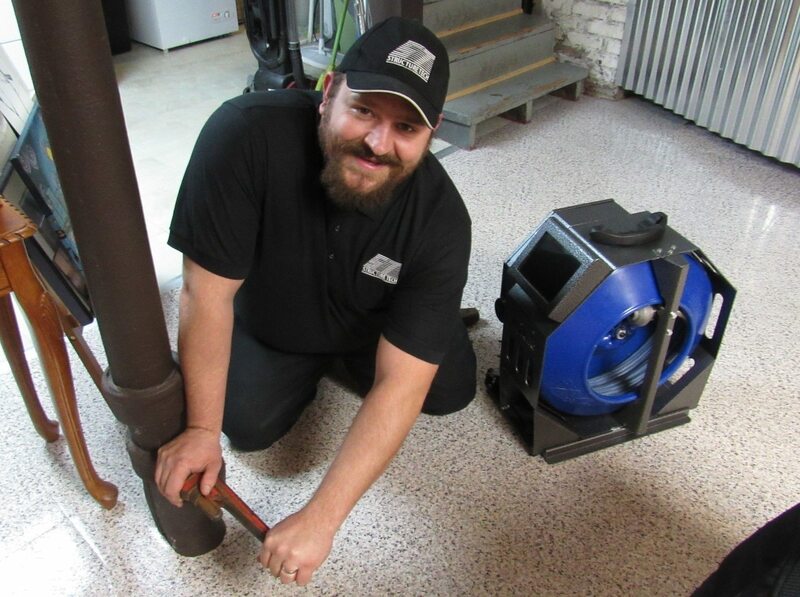 We were the first home inspection company in the Twin Cities to offer sewer inspections, and the response has been very positive. I expect sewer inspections to become standard practice within the next five to ten years, much the same way that radon testing has become standard practice. If you’re buying a used house, it’s wise to have a sewer inspection completed at the same time as the home inspection. While newer homes have a much lower potential for sewer problems, they’re not immune to major issues. Here are a few video clips of failed sewer inspections, interesting finds, and some encounters with sewer rats at the end. Don't miss those. Enjoy.